The marine fuel and lubricant trading firm Glander International Bunkering has opened its seventh office globally and third service point in Europe in Valencia, Spain, to service clients in the Mediterranean and Spanish-speaking regions. 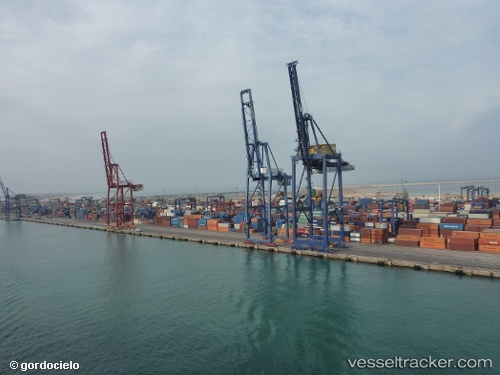 Kalmar, part of Cargotec, has been contracted by Noatum Ports to perform specialised repair work on a ship-to-shore crane located at its container terminal in Valencia, Spain. The order was booked in Cargotec’s 2018 first quarter order intake and the work, which is scheduled to last 24 weeks, will be completed early in the third quarter of 2018. Noatum Container Terminal Valencia (Noatum CT Valencia) is the Iberian Peninsula’s main gateway for container transportation and the natural port of the Spanish capital, Madrid. Served by all major global container-shipping lines, the terminal’s location close to the Suez-Gibraltar axis connects it with the main interoceanic routes. Noatum CT Valencia is part of the Noatum Group, one of Spain’s leading maritime terminal operators.